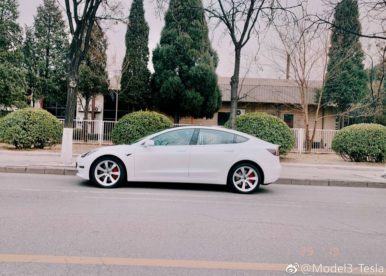 Test drives of the Tesla Performance Model 3 opened yesterday in Shanghai and, as to be expected, pictures of the Chinese variation of the electric car have surfaced online. 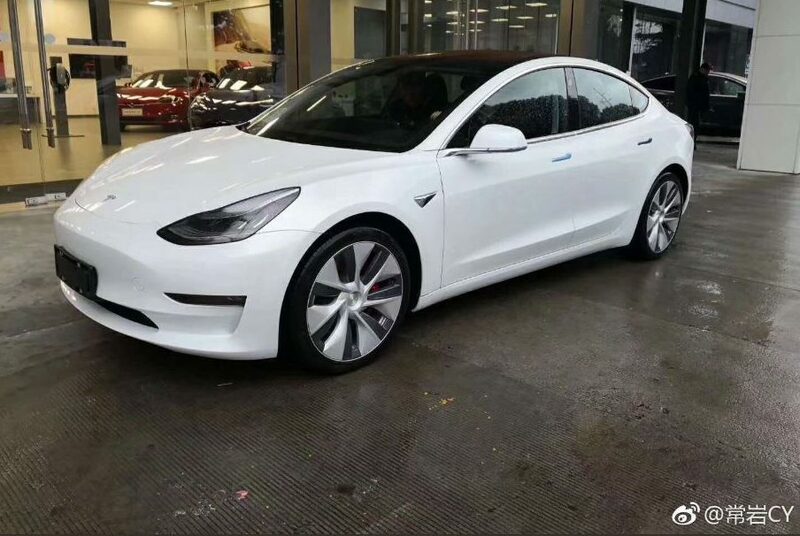 In photos shared by Twitter user JayinShangahai, in-person glimpses have been captured of the vehicle, including the new 19-inch “Power Sports” wheels, both with and without their aero covers. 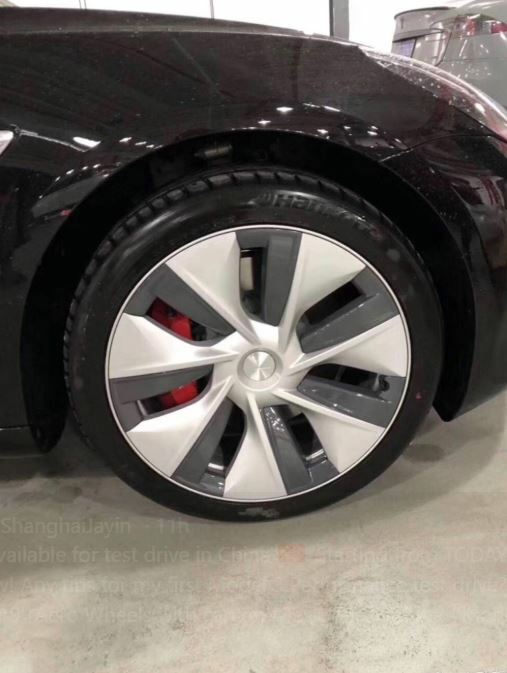 The Model 3 wheel variation was first spotted in Tesla’s online vehicle configurator for the Chinese market but isn’t yet available in the US. 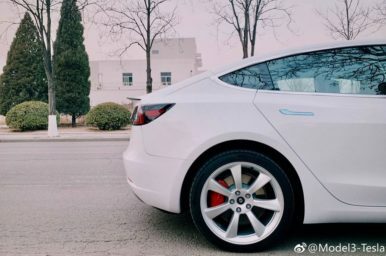 The Power Sports wheels are said to increase range efficiency and, when used with their aerodynamic hubcaps, “better adapt to different road conditions”, per their description on Tesla’s Chinese Model 3 Design Studio. A similar performance wheel variation is offered in the US market, however the size and appearance are slightly different. The Aero Wheels offered for the North American Model 3 are 18″ as opposed to the 19″ size of the Power Sports version, and the overall design has been reworked from a 5-hole, black/grey style to a 7-hole, silver/grey style. It should also be noted that the Power Sports wheel is only offered on the Model 3 Performance – the Long Range AWD variation will come with either the Aero Wheels or Sports Wheels styles found in North American versions. 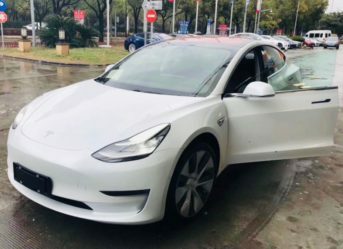 The first batch of Tesla’s Performance Model 3 China edition vehicles arrived about a week ago in Hong Kong. 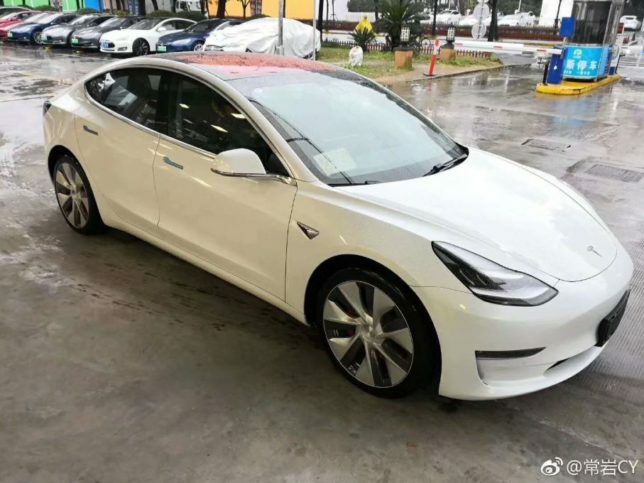 Per the online configurator, delivery of the Dual Motor Model 3 variation is supposed to begin sometime in March, and an additional Standard Range version is slated for mid-2019, completing the full Tesla lineup available to the company’s Chinese customers. 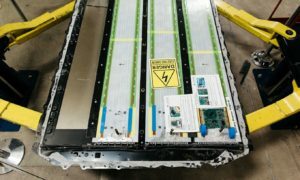 The still-unreleased Model Y crossover SUV was originally thought to be part of the all-electric car maker’s coming production plans in China, but in yesterday’s 2018 Full Year Report, Tesla indicated that Gigafactory 1 in Sparks, Nevada would likely be the initial manufacturing site. 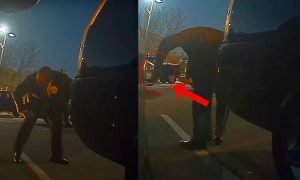 Tesla is likely planning on deliveries into China being short-lived in favor of in-country production at its recently ground broken Gigafactory 3 in Shanghai, primarily as a matter of financial sense. An extra 25% import tariff is placed on cars originating in the US, significantly increasing the price of any American vehicles brought into the country. China recently agreed to suspend the extra tariff; however, the suspension is scheduled to end on April 1, 2019. 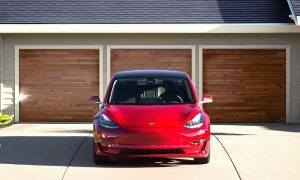 Tesla adjusted their vehicle pricing accordingly with the hope of using the lower tariff advantage to ramp up sales, a plan which was successful. 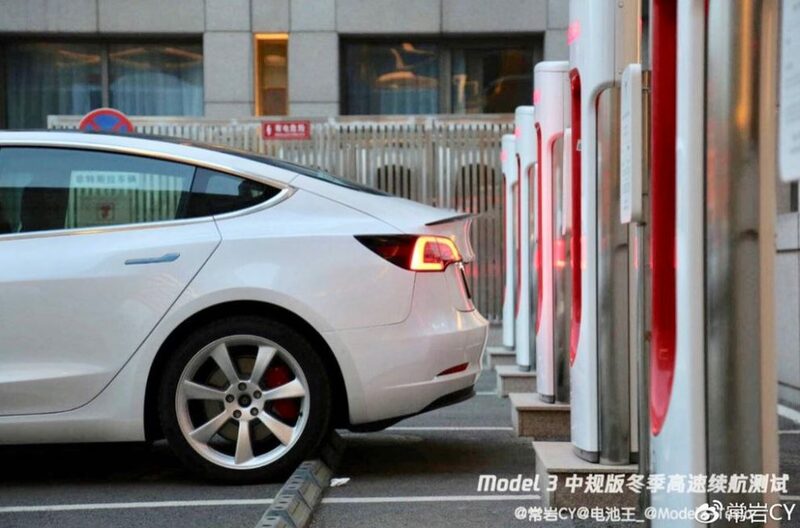 Even still, though, general import taxes remain in force, meaning the electric vehicle manufacturer would need to further reduce tax barriers to truly expand and compete throughout China. 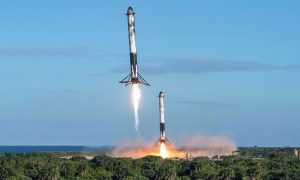 Manufacturing Tesla’s cars in Shanghai would accomplish this. 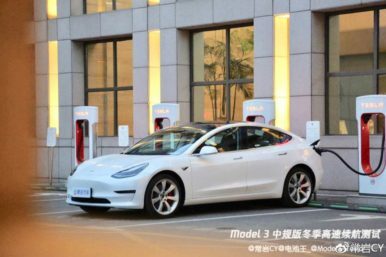 The Tesla Model 3 Performance is expected to become a strong contender in China’s high-performance sedan market. With a 0-60 mph acceleration time of 3.5 seconds offered at a rival-undercutting price of 560,000 RMB (around $81,000), the value of the vehicle overall speaks for itself. 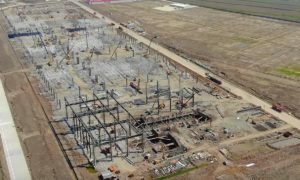 Once Gigafactory 3 is up and running – initial construction is expected to be completed this summer – it is anticipated to reach high volume production shortly thereafter and enter the Chinese market as a true local competitor for other manufacturers doing business in the country.